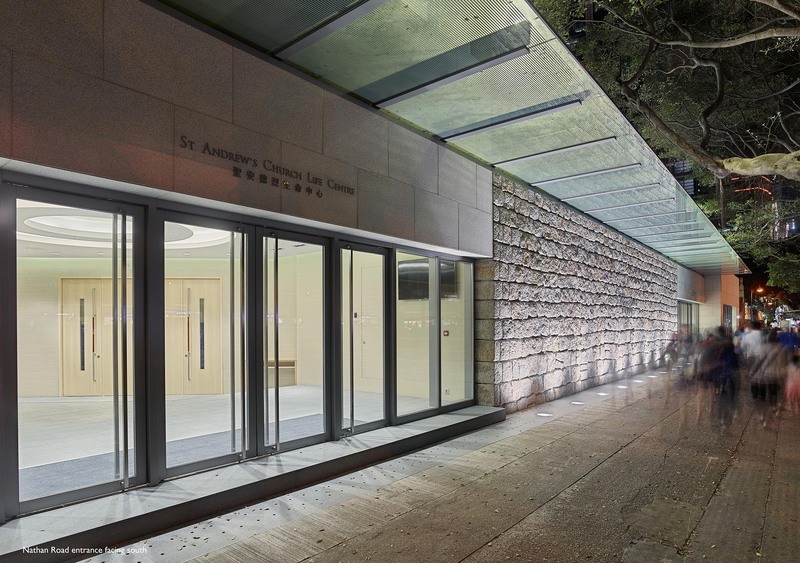 St. Andrew’s Church Life Centre by Nelson Chen Architects Ltd. 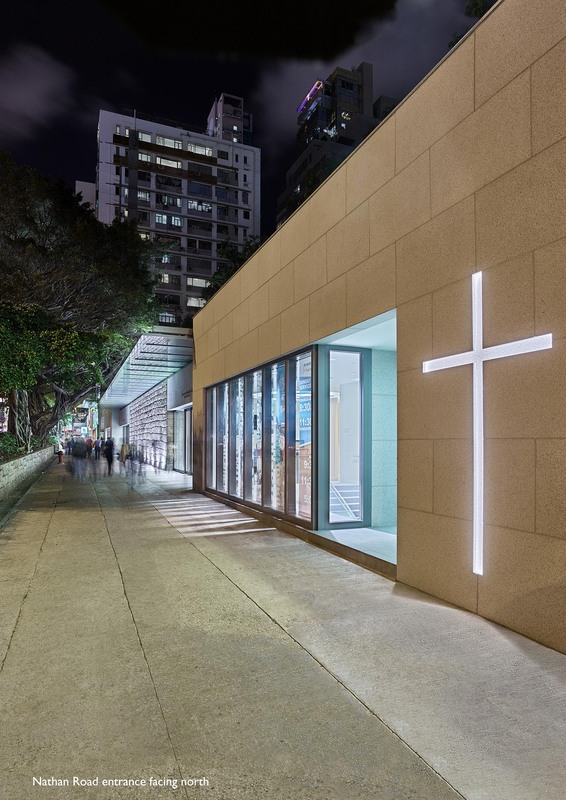 Winner: Nelson Chen Architects Ltd.
St. Andrew’s Church was built over a century ago, in 1906, when Kowloon was still rural, and the church served as a boundary marker of the extent of occupied development. G.R. Sayer then described in a picturesque essay: “Beyond St. Andrew’s Church… there are few, if any, buildings. The Nathan Road is almost entirely undeveloped, and broad flats [of land] are given over to watercress growers”. 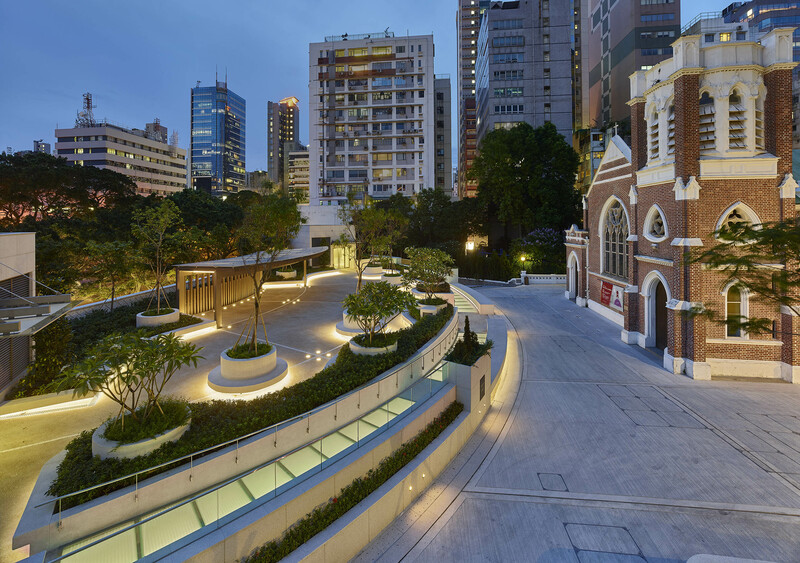 Today, bustling Nathan Road is called the “Golden Mile” of commercial activity in Kowloon, and St. Andrew’s Church offers a spiritual oasis amidst its dense urban surroundings. This historic site is now appreciated as a living heritage from which to glorify and serve God in the local community and beyond. 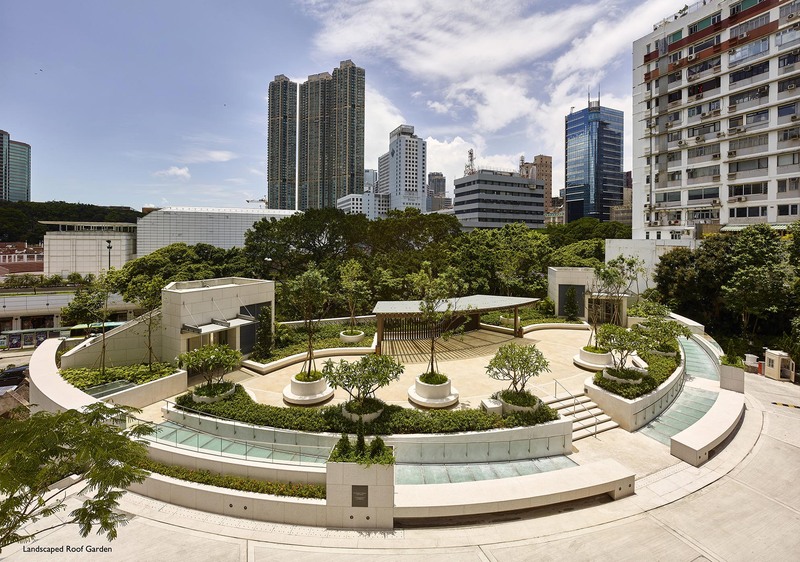 Over the past decade, a series of building restoration and interior renovation works have been seamlessly completed, culminating in a UNESCO Asia Pacific Award for Cultural Conservation in 2006. However, at the same time, severe space shortages were impacting the capacity of this thriving church to grow in essential ways: worship space for a growing congregation, city outreach ministry programs, classrooms for youth and children, prayer and meeting rooms, etc. On this heritage-listed site, there were no obvious solutions: historic buildings are protected by the Antiquities and Monuments Office, while the narrow existing driveway to an elevated site restricts emergency vehicle access beyond the street frontage. Besides, any new structure could well be viewed as disrupting the heritage outlook of the entire compound. Thus, this major extension to St. Andrew’s Church was proposed as a largely underground building, below an existing front courtyard to be restored with replanted trees and landscaping on a new roof garden. The new structure of 2,875 sq.m. 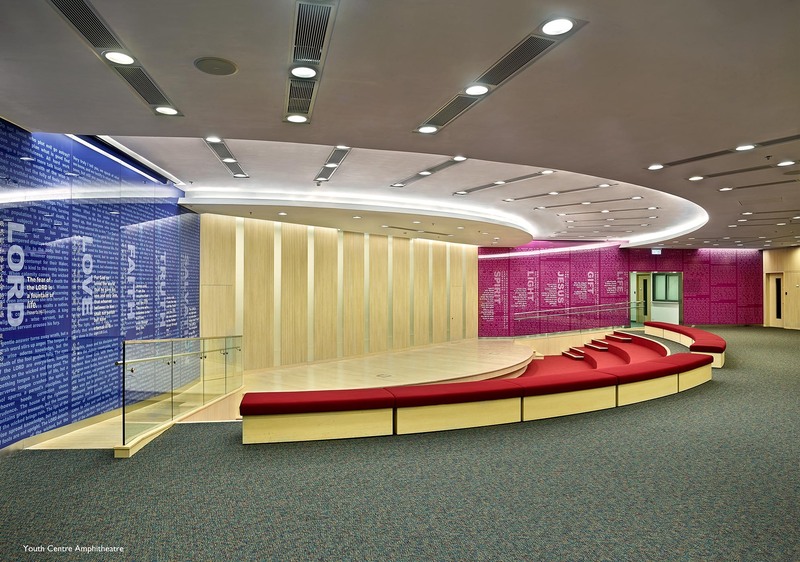 comprises an 800-seat auditorium with baptismal pool, vestry and entrance on Nathan Road. The subterranean amphitheatre is skylighted above the altar/stage as well as along the semi-circular perimeter walls to allow natural light to penetrate throughout. 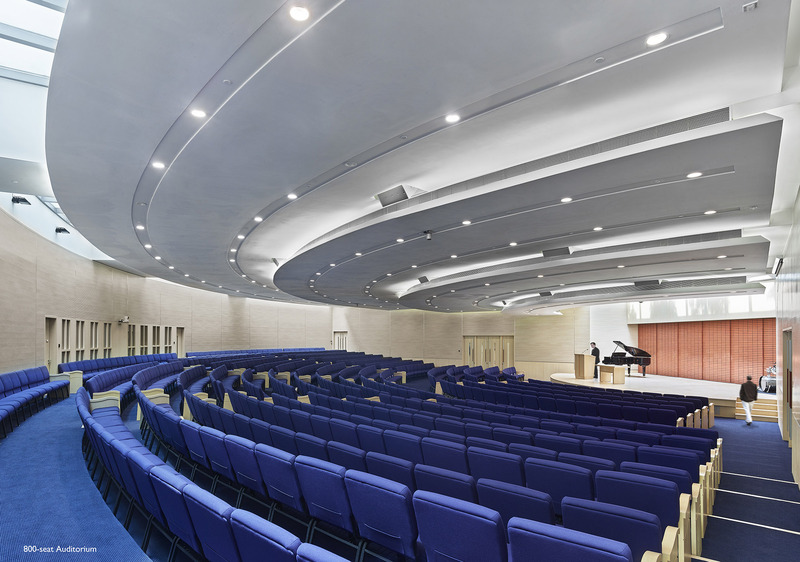 The lower level is devoted to youth and childrens ministry, with classrooms and meeting rooms arranged around a central, stepped conversation pit, which doubles as a smaller worship and performing space for youth fellowship. The new extension is connected to the historic church building by stairways to the roof garden as well as a lift for disabled access. A major benefit of this underground building is the ability to introduce a contemporary addition that is still visually compatible with its heritage site, by preserving and enhancing the original buildings and grounds. Existing retaining wall stones were restored and reused at the new entrance facade to extend its heritage presence on Nathan Road. In addition, the thermal mass of the landscaped green roof lowers overall energy consumption.